TeamCity can automatically deploy your Android and iOS Apps to TestFairy. 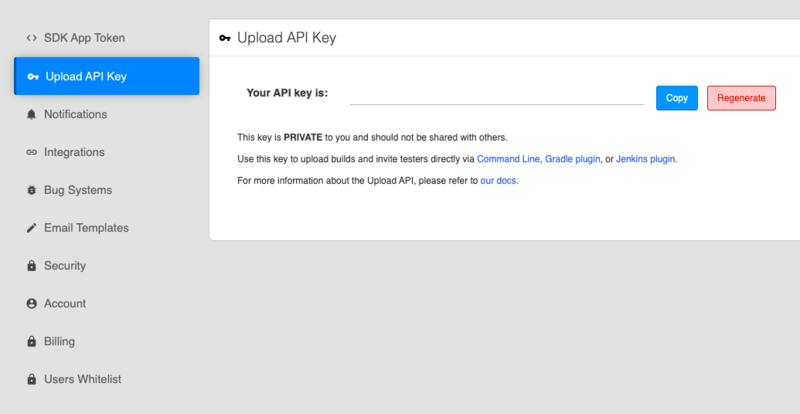 On the Preferences page, go to the API Key section and copy the API key. Name the parameter env.TESTFAIRY_API_KEY and give it the value you copied from the TestFairy preferences page, and Save. Add a Build Step to the Build Configuration you wish to deploy from. Make sure to select a Command Line build step.